Have a question? Are you an interior decorator or event planner needing to request a private showing? Call (314) 910-9022 or fill out the form below and we’ll get back to you as soon as possible. Located behind K. Hall, our warehouse acts as both design office and retail space. 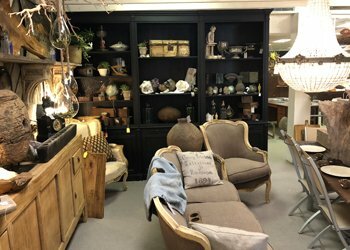 Come check out our latest redesign projects and browse our extensive inventory of vintage goods. Open During Events. Private showings are available upon request for interior decorators and event planning professionals. 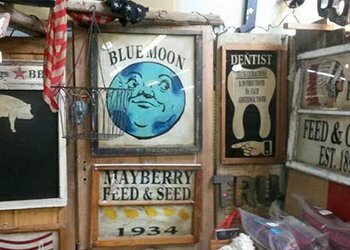 Rand Rosenthal’s unique collection of goods is the largest on site at the Treasure Aisles Antique Mall in St. Louis. You can find them located in the back left corner of the mall. 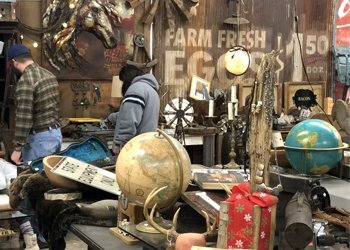 Rand’s collections can be found in three separate booths throughout the antique gallery, as well as seasonal landscape displays at the entrance.